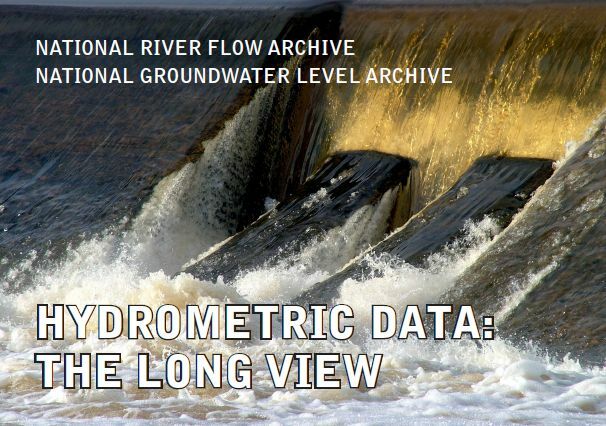 A one-day meeting entitled Hydrometric Data: Taking the Long View was held on 22nd October 2013 to celebrate 30 years of the National River Flow Archive (NRFA) and National Groundwater Level Archive (NGLA) being hosted by NERC at Wallingford. The meeting aimed to review the achievements of the archives and the exploitation of this rich hydrological data resource by its broad user community. The 30 years of joint operation of the archives provides a unique long-term perspective on hydrometric data management and hydrological research and applications more generally. The meeting attracted a wide range of attendees including delegates from hydrometric measuring authorities, the research community and hydrological practitioners. Over 120 delegates attended from a variety of organisations and many NRFA Alumni staff were able to return to Wallingford for the day. Current and former NRFA/NGLA staff discussed the history of hydrometric data management, the activities of the archives and their impacts, and future directions. External speakers, from organisations such as the Environment Agency, SEPA, and the University of Dundee, provided their perspectives on uses for the data held in the archive. 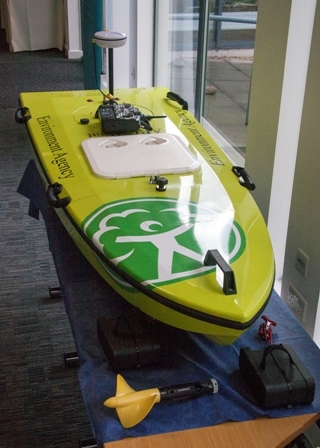 There was a poster session and a display of hydrometric equipment, current and historic provided by Environment Agency staff. 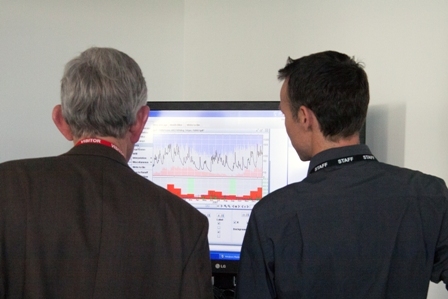 Displays provided by the NRFA included demonstrations of CEH software used for both flow data and spatial data analysis. A stand featured publications available from the NRFA, including Yearbooks, occasional reports and the Hydrometric Register. Copies of these reports are still available from the NRFA, contact the NRFA if you would like any hard copies. 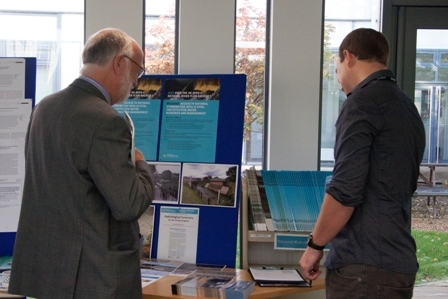 The day also saw the launch of the new publication, "The 2010-12 drought and subsequent extensive flooding - a remarkable hydrological transformation", by scientists from the Centre for Ecology & Hydrology in partnership with the Met Office, and with technical guidance from the British Geological Survey. A new gauging station network map was produced for the 30th celebrations. A PDF is available to download here; limited printed copies are also available, please contact the NRFA. The management of hydrological data at the UK scale can be traced back to the Inland Water Survey in the 1930s. In 1982, the Surface Water Archive and Groundwater Level Archive were transferred to Wallingford, under the stewardship of the Institute of Hydrology (now the Centre for Ecology & Hydrology) and the British Geological Survey. The NRFA now has over 50,000 station-years of river flow data, from over 1,500 gauging stations, with the longest records dating from the 19th Century. The NGLA holds over 9,000 station-years of data from its current network of stations and one off or short period observations from over 50,000 water wells. Together the NRFA and NGLA data have underpinned much of the hydrological research and water resources management activity carried out in the UK over the last three decades. 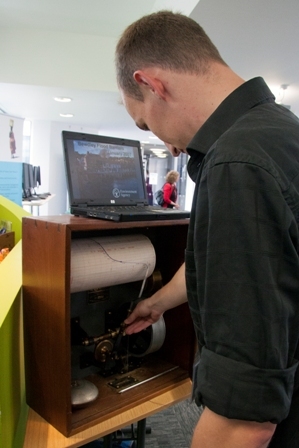 John Rodda (CEH fellow): The early days of UK hydrometric monitoring. Mike Lowing (ex- Institute of Hydrology): The archives move to Wallingford. Andrew McKenzie (Head of NGLA, BGS) and Harry Dixon (NRFA Data Acquisition Manager, CEH): Maintaining stable yet contemporary archives. Richard Brown (Head of Hydrology, Scottish Environment Protection Agency): Hydrometric data: coal-face to archive. Rob Grew (Evidence Advisor, Environment Agency): UK hydrometric monitoring in the 21st century. Andrew Black (University of Dundee): Reflections on the archives from academia: using the data and filling in the gaps. Colin Fenn (CIWEM Water Resources Panel/HydroLogic Services): How the NRFA supports the needs of the UK water sector. Jamie Hannaford (Head of NRFA, CEH): The NRFA at 30: what's next? Terry Marsh (CEH): Musing and reflections on the NRFA. Chris Beales (Environment Agency): How recent innovations in Hydrometry are improving data quality for all customers, including the NRFA & NGLA. Tim Burt and Nicholas Howden (University of Durham, University of Bristol): North Atlantic Oscillation drives double orographic enhancement of precipitation and river flow in upland Britain. Carlos Campos (Centre for Environment, Fisheries & Aquaculture Science): Faecal indicator bacteria and norovirus in a shellfish water impacted by sewage discharges and freshwater inputs from an epheiteral river. Andrew Chiverton (Centre for Ecology & Hydrology): Which catchment characteristics influence the temporal dependence of daily river flows? Gemma Coxon (University of Bristol): Implications of stage-discharge rating curve uncertainty for model evaluation and hydrological characterisation at the national scale. Jim Freer (University of Bristol): Emergent structures and understanding from a comparative uncertainty analysis of the FUSE rainfall-runoff modelling platform for >1,100 catchments. Nigel Goody (Scottish Environment Protection Agency): Development of the Scottish river gauging network. Grant Kennedy (Scottish Environment Protection Agency): 100 years of automated level recording on the River Irvine. Ian Littlewood (Former Centre for Ecology & Hydrology): Joint applications of NRFA and other hydrometric and water quality national data sets: selected case studies. Neil Macdonald (University of Liverpool): Flood seasonality across Wales. Alexander Royan (University of Birmingham): Avian community responses to variability in river hydrology. Richard Severn (Environment Agency): Changes over time in the hydrometric instrumentation of an NRFA long-record gauging station. 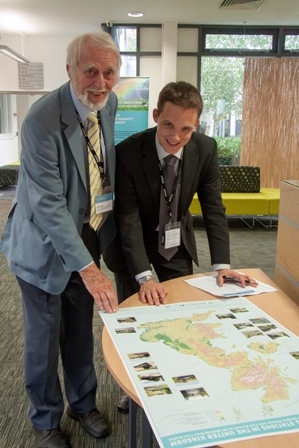 Mat Wells and David Mould (Canal and River Trust): Managing the Canal and River Trust’s Water Resources. To mark the 30th anniversary of the NRFA and NGLA at Wallingford, CEH published a series of blog posts exploring how the hydrometric data held by the archive has been used in past and present scientific research, and how such a valuable data resource is vital for taking a long view of both hydrological trends and significant one-off events. The series concluded with an article by the head of the National River Flow Archive, Jamie Hannaford, in which he looked ahead to future developments for the archive. Some photos of the event are available on Flickr. Read the CEH news story about the event.